LYNETTE WASHINGTON, jazz vocalist, is a native New Yorker, born and raised in Brooklyn, New York. 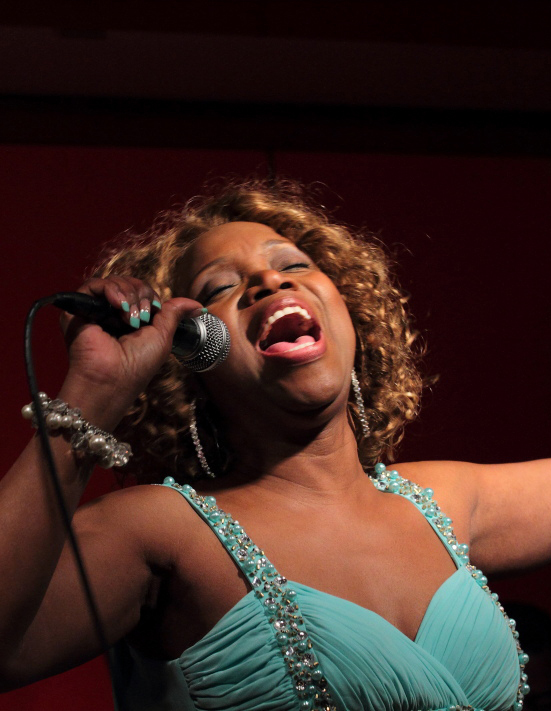 Her extensive music career in jazz, R&B, and gospel, has taken her across the globe travelling as far as Australia. Her gift and ability to sing in several languages including Russian, Italian, Hebrew, Yiddish, French & Portuguese make Ms.
Washington a sought after singer for many years. Her professional career began to soar when she performed in various Russian nightclubs throughout New York City and Europe. Lynette was the 2005 Grand Prize Winner of the Jazzmobile / Anheuser Busch Jazz Vocal Competition, and was featured on WBGO's Singers Unlimited Show with MichaelBourne. As the Grand Prize Winner, Ms. Washington performed at WBLS' Croton Music Festival, the City Of Yonkers' Friday Night Jazz Festival in the Yonkers' Sculpture Garden. An established songwriter and arranger, Lynette has worked with well-known artists such as, Aretha Franklin, U2, Peter Gabriel, Celia Cruz and Clifford Jordan, to name a few. She was a featured lead singer with New Voices of Freedom, the singers who appeared in U2's Rattle & Hum, BBC/Virgin Records world-wide telecast and album One World, One Voice, the Give Peace A Chance video with Lenny Kravitz, the 2002 VMA Music Awards with the Godfather of Soul, James Brown and comedian Jimmy Fallon. Blues Alley in Washington D.C., Kean University, Winters Eve Festival at the Apple Store, Lincoln Center, 966 Jazz, and most recently at Jazz at Kitano. Lynette Washington has been designated an iTunes Essential Jazz Artist. A consummate singer in every sense of the word, the best is yet to come for this talented performer.